The free eMachineShop CAD software includes a spur gear generator. Just Download, fill in the dimensions and select a material to get started. 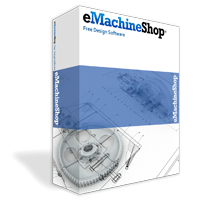 Download the eMachineShop CAD software. Choose menu File | New. Select the spur gear wizard. Add and needed additional features such as a hub or special holes. Choose Job | Material and select a material for your part. Choose Job | Price/Analyze to get feedback on the design.